Heading down the Grouse Grind just before sunset on a snowy day. The following morning Metro Vancouver announced that it was closing for the year due to treacherous winter conditions. 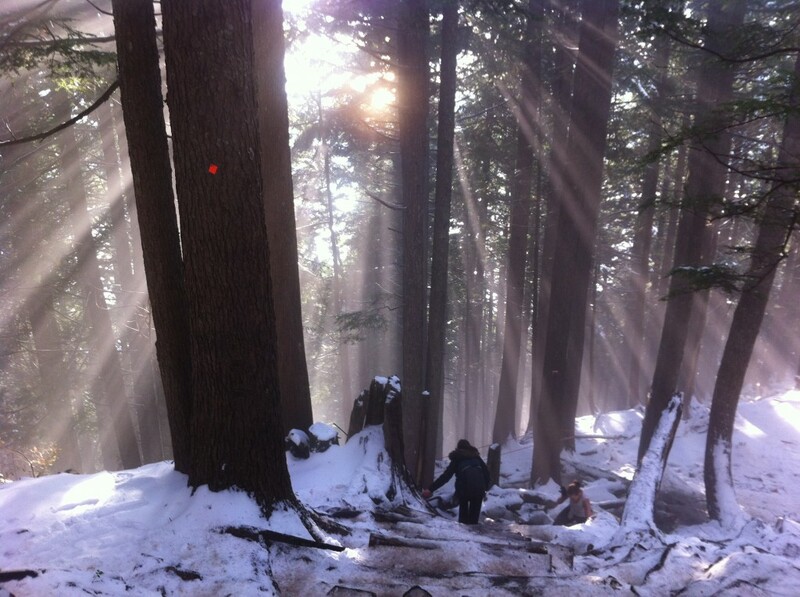 This entry was posted in Grouse Mountain, Hiking on November 11, 2011 by Kay.